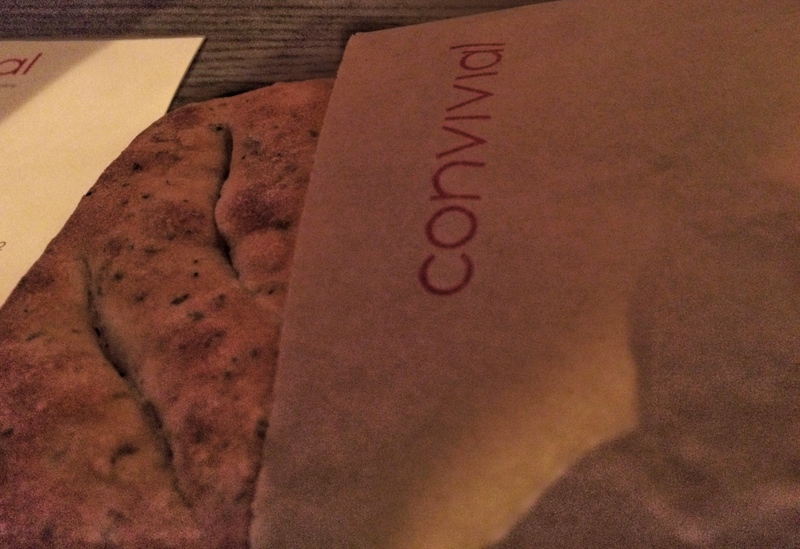 Convivial: Happy to Meet You! Every restaurant should have a goal to be convivial. When it’s your actual restaurant name, you really need to live up to the moniker. 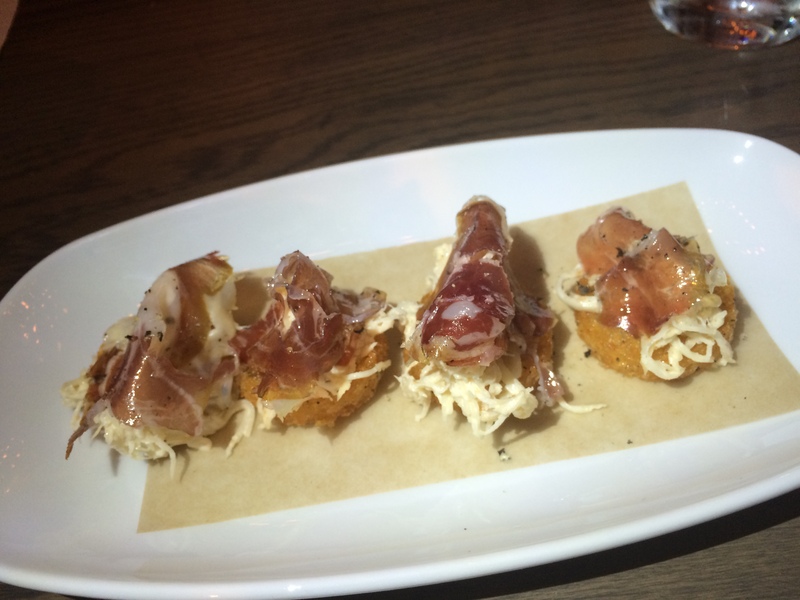 The new Convivial from chef/owner Cedrick Maupillier is on point…and then some. If you’ve been to Mintwood Place in Adam’s Morgan, you may know Chef Maupillier as the charming Frenchman in the kitchen. He is still involved there as Executive Chef, but his new venue in Shaw is clearly his own. He presides over Convivial with pride, as he should. 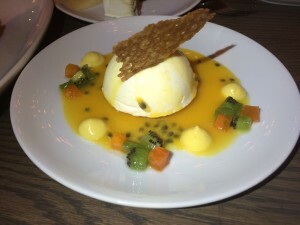 Chef Maupillier says his goal is to make diners happy. I’m feeling it right off the bat as I sip a daiquiri at the bar. Once we are seated, I smile at the delivery of freshly baked bread studded with herbs. 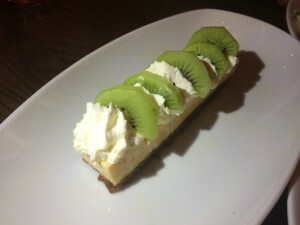 The French and American menu progresses through nibbles, cold, hot, cheese, and dessert. Worth sharing from the nibbles section are crisp baby latkes topped with celery root and thinly sliced dry cured lamb. 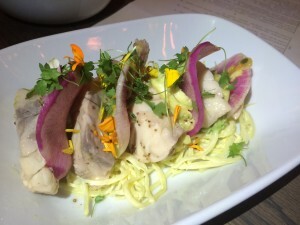 We are tickled pink by pickled rockfish with green papaya, avocado, passionfruit, and winter radish. Some of DC’s new crop of restaurants place a particular emphasis on vegetable dishes, while others put them on the sidelines with nary a thought. Happily, Convivial is in the former category. Cauliflower blanc manger delights us with accents of tabbouleh, almonds, pomelos, and herb salad. 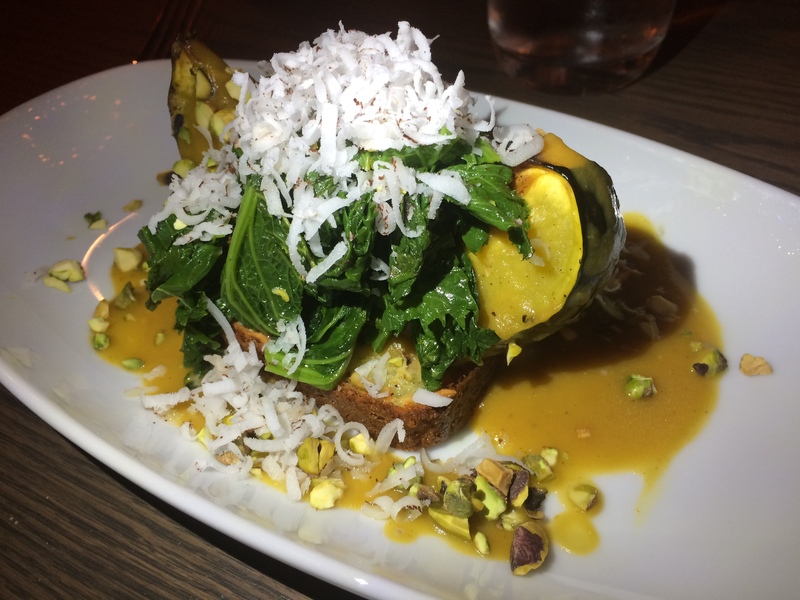 Squash vadouvan resting on olive cake with pistachios, a layering of mustard greens, and shredded coconut is a gratifying entree. It’s always a delight when vegetable lovers can find total satisfaction in a meatless entree. While some dishes here are meant to be shared, others are more suited to one person. This includes fried chicken coq au vin, which captivates me like no other. 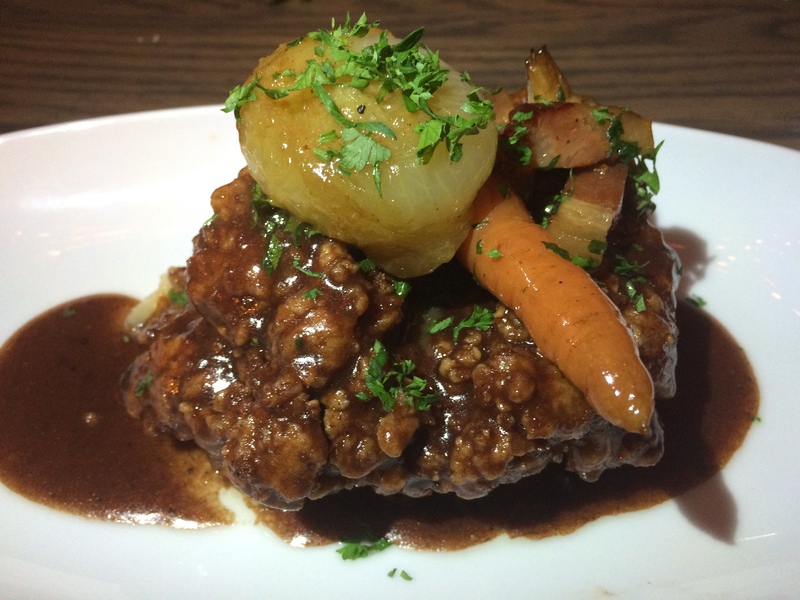 The chicken has a thick outer crust, sinfully succulent meat, and is coated with a smooth, tangy red wine glaze. It’s one of those instances when waitstaff repeatedly tries to clear my plate and I swat them away until there are no remaining crumbs. 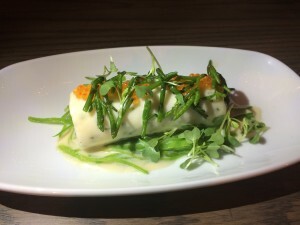 I imagine this dish taking a spot on multiple year-end lists citing favorite dishes of 2015. It is certainly on mine. Scallop boudin blanc with snow peas, sauerkraut, sea beans, and trout caviar is on the lighter side. The beautifully-plated dish is more delicate than many of the other dishes, so it pairs well with some of heartier selections. Desserts complete our revelry as we indulge in key lime and speculoos pie, passion fruit cheesecake, and a selection of cheeses. Chef Maupillier takes time away from the kitchen to circulate throughout the dining room, chatting amiably with guests. Also shmoozing the crowds is partner Saied Azali. The staff are equally eager to solicit feedback and engender satisfaction. Judging from the growing chorus of approval circulating online and in print, diners are embracing the delicious and delightfully convivial Convivial.